Join us each Sunday after the services for coffee hour. This is an opportunity for you to get to know other congregants (members, friends, or visitors) and to ask any questions you have about Unitarian Universalism or this congregation. We serve coffee (of course) but also bagels and cream cheese, and sweet treats or fruits. If you'd like to join one of our hospitality teams, click here for more information or here to contact us about your interest or ask questions. We'd welcome you! Sometimes we have "high coffee." 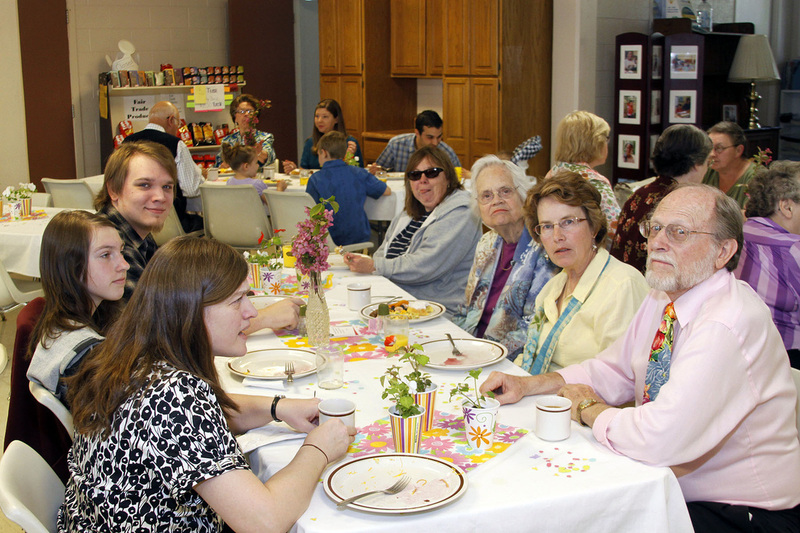 One such special coffee is actually a meal, the Mother's Day Brunch prepared by the volunteers from the congregation.